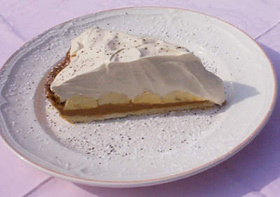 Banoffi pie is an English dessert pie made from bananas, cream and toffee from boiled condensed milk. 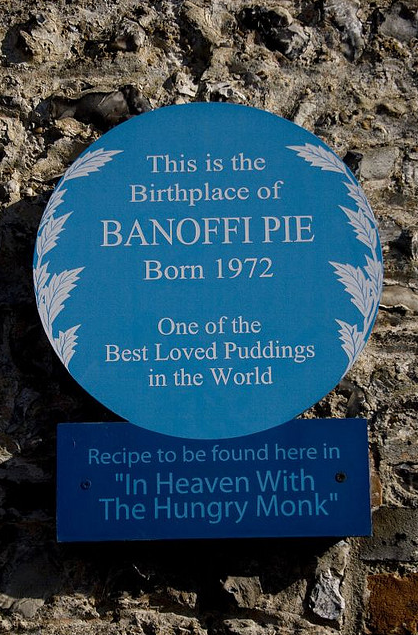 It was invented at the Hungry Monk Restaurant Sussex in 1972, originally called Banoffee Pie. The pie was so popular it soon went global. 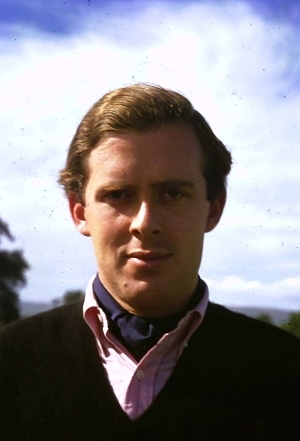 Some supermarkets began selling it as an American pie much to the dismay of Dowding and Mackenzie. 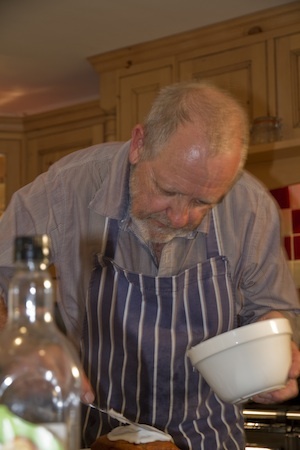 This lead Nigel Mackenzie to offer a £10,000 prize to anyone who could disprove it was English with a pre-1972 recipe. When no one claimed the prize, Mackenzie proudly erected a plaque at the restaurant's entrance proclaiming it, "The Birthplace of one of the World's Favourite Puddings." This is the original Banoffi Pie recipe as it first appeared in the book ‘The Deeper Secrets of the Hungry Monk’ in 1974. Preheat the oven to gas mark 5 (400F, ). Lightly grease a 10in x 1.5in flan tin. Line this with the pastry or biscuit crumb. Prick the base all over with a fork and bake blind until crisp. Allow to cool. Immerse the cans unopened in a deep pan of boiling water. Cover and boil for 3 hours making sure that the pan does not boil dry. Remove the tin from the water and allow to cool completely before opening. Inside you will find the soft toffee filling. Now spread the toffee over the base of the flan. Peel and halve the bananas lengthways and lay them on the toffee. Finally spoon or pipe on the cream and lightly sprinkle over the freshly ground coffee.